GFI Partners is a full service real estate advisor based in Boston, Massachusetts. Founded in 1997, GFI has successfully permitted, developed, and acquired projects across the United States. 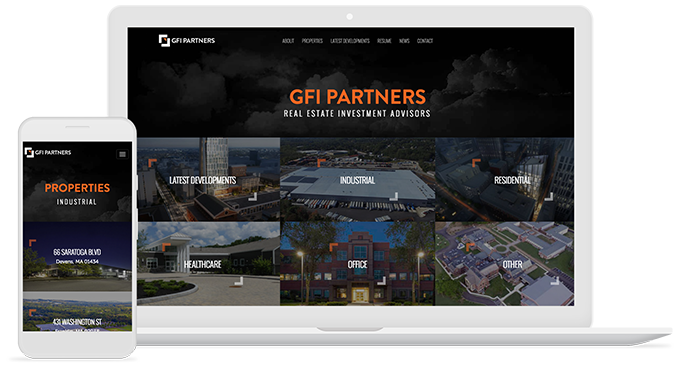 GFI Partners turned to Mediaboom to create a one-of-a-kind commercial real estate website design. They wanted to stand out from the crowd with a sleek and modern look, as well as showcase their extensive profile of commercial and residential properties. ““There is no digital agency in the northeast doing what Mediaboom is doing! GFI Partners are a unique combination of investment banking & asset management professionals who create value throughout the financing, acquisition, permitting, and development of a diverse range of properties. 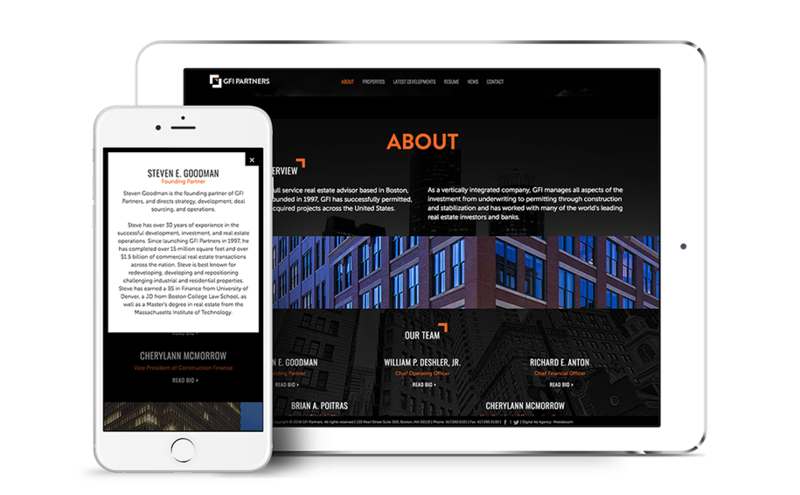 Mediaboom was challenged with creating a commercial real estate website design that reflects GFI’s unique qualities and diverse expertise. 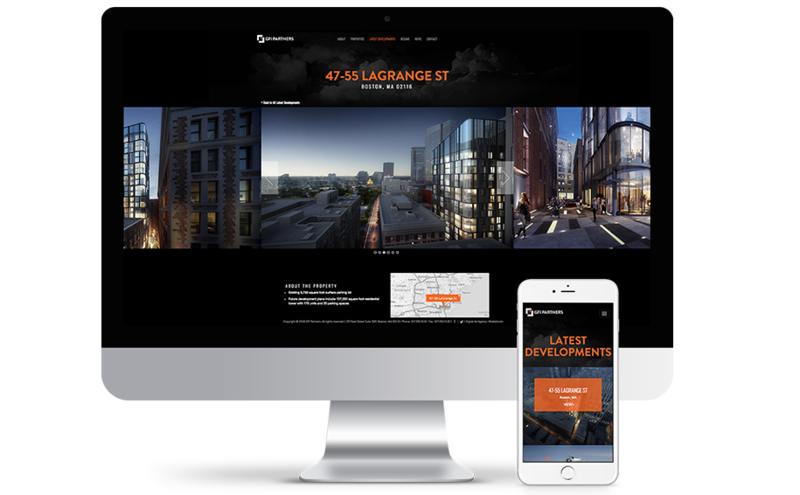 Mediaboom developed the GFI Partners website to be visually engaging and showcase the large varieties of properties and projects. The site was designed with the intent to distinguish GFI Partners from industry peers through use of striking imagery and custom responsive development.